Editor’s Note: This is a three-part article about direct and dealer submissions to the top two third-party coin grading companies, with the first installment covering the basics; the second, direct PCGS submissions; and the third, dealer NGC submissions. Hobbyists and investors pay premiums for coins encapsulated by Professional Coin Grading Service and Numismatic Guaranty Corporation, but relatively few submit raw coins to these and other grading companies, in part, because the submission process can be complicated and/or many prefer submitting through a dealer–and for good reasons, too, as we shall learn later in this series. This installment covers basics with links providing additional information. In many ways, the direct submission process for PCGS and NGC is similar. You can read about that here and here, respectively. Hobbyists can earn submission privileges by joining collector clubs/societies, requiring annual fees ranging from $39-49 for membership. Before joining the PCGS club or NGC society, you should know what you are getting into, as filling out necessary submission forms require slow reading on the level or Internal Revenue Service forms and equally meticulous procedures which, once learned, can save money and launch you into a new phase of collecting–finding raw coins returned with high grades that make the effort worthwhile. 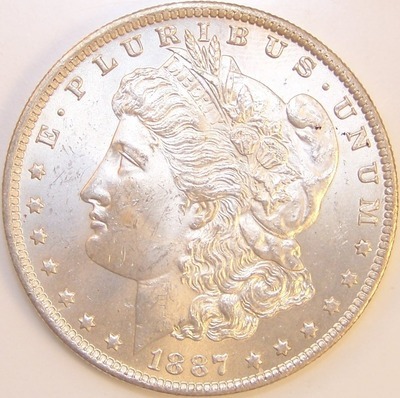 Many hobbyists falsely believe that direct submission entails sending coins to the third-party grading company whose employees dutifully identify denomination, type, variety, attribution and other distinctions, such as VAM designations for silver dollars. Think again! You will have to possess moderate to expert numismatic knowledge to identify all of the above, find the correct numerical listing in online guides or provided booklets, pay the correct price (as some designations, such as errors, have premiums or may not even be available). Then you have to purchase and label 2 ½ x 2 ½ Mylar flips, fill out online or paper forms with adequate return postage, and mail with or without insurance in envelopes with bubblewrap or other protection. You should be, because if you’re like me, after decades in the coin business, you’ve lost as much money as you have made by purchasing coins at retail prices from dealers or at shows. To give you an idea of how profitable this can be, I purchased the 1887-O and 1897-S in a Proxibid auction for $55 and $85, respectively, and sent those raw coins to NGC earning MS64 designations for both. The 1887-O retails for $500, and the 1897-S, for $200, stored now in my safety deposit bank box. That’s like getting a $560 return from the IRS. You neglected to mention one basic rule and that is that no matter what your coin is graded and what you feel it is worth, you ain’t made nothing until you can sell it at that price. I have had PCGS harshly clean coins which were purchased as mint originals. These coins were not returned to me after grading with original mint surfaces. I fail to see what the purpose of coin grading is if coins sent in are etched and cleaned to remove deposits which occur in the grading and encapsulation process. This is what PCGS did to my coins! Mike’s right about counting money before selling coins; a coin is worth its face value until a transaction is complete. C Kayt recounts an unfortunate PCGS transaction in which she sent in mint originals and received back harshly cleaned coins. This seems to me as if she received someone else’s coins with the same years and mint marks. If PCGS indeed ruined the coins, I’d expect reimbursement. To C Kayt’s point, I would recommend photographing/scanning your coins before they are shipped out, so you have an accurate image with which to compare the coins after they return. Would be very useful for any reimbursement effort. Yes I did photograph the coins. I do have high resolution images showing the damage they progressively did to the coins, and which they finally admitted to after much discussion. They tried to put the onus on the mint and also tried to “fish” my personal info to explore if I was cheating them. I did seek reimbursement and was turned down. I was told that these coins do not have the original mint surfaces but they meet PCGS “grading” standards. I have saved all the documentation and will write a paper on the whole process and include all the e-mails which flew back and forth. Needless to say I DO NOT do business with them anymore. Given this experience over several coins, I would CAUTION strongly if you have a valuable coin to consider not having it encapsulated in their idiot (not proof) holders. When you write your paper, can you let us know at Coin Update where we might find it, C Kayt? Thank you very much for sharing your experience with us. I must say that my PCGS experience differs, but that’s not the point. There are many stories to be told about grading, and we will try to do that here. Michael, I’ll certainly provide you the info when it is ready. I had put this off, just being busy with work but now that I have promised I will have to get it done! Yes they DID clean the coins WITHOUT my permission several times over and were very evasive. One thing I forgot to mention that they dropped one of the coins (apparently on the floor). It came back to me with drag marks on the devices. I noted this to them, and they did not deny it. Their argument: It meets our grade specification (in this case a PR69DCAM !). I was sorely tempted at this point to file a lawsuit but decided against this since the total value of the processed coins was under 7K raw. Thanks for reading my column and for your comments. You’re right about holders not coming apart; it makes me wonder if someone slipped a different coin in that holder. Take the coin and the holder to a local expert or dealer and ask her/his opinion. Concerning NES, it is not considered a top-tier grading company; but that doesn’t mean the coins in its holders are subpar. You should use NGC and PCGS for sight unseen purchases (and, to a lesser extent, ANACS and ICG). I’d never do that with NES, though. Basically, I consider a coin in any holder other than top-tier as a raw coin and utilize my numismatic knowledge to make a decision about a purchase. On NES, I’d break those coins out of the holders before submitting to PCGS or NGC. I have a future column about when to submit with the holder and when to break out the coin. I have also purchased an NES coin and I must say it is a beautiful coin, I have compared it to some of my PCGS and NGC coins and it is more impressive than some of them in the same grade. The company I bought it from gauranteed it’s authenticity . I have showed it to a few coin dealers and they were pretty impressed by it also. I’m looking forward to your future column on breaking them out of the their holders before sending to NGC or PCGS. I’d like to know if there are others who have bought quality coins from them. Very worrying reading some of these comments. I know of a collector who claimed that somewhere in the submission process and what he got back from a top-tier company was a completely different coin. This frankly scares me off. I don’t want my coins to be cleaned without permission. I’ve been weighing up NGC over PCGS, and still feel it’s all a kind of blackmail. Either go with us or your coins is worth less, seems to be the message, which if that is the case, could it not be argued that we are indeed buying the holder and not the coin. Before I risk any my coins, I’m going to have to do a bit more reading. Ultimately I want to auction off some coins. Thank you for your comments. 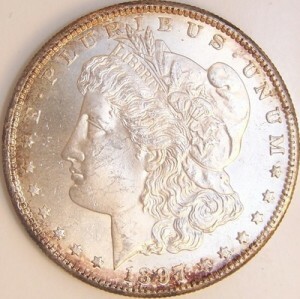 If you plan to auction coins, you might not want to get them graded. The grading is very harsh at PCGS, but that is why those holders command top dollar. I submit regularly to NGC and PCGS and never had any coins switched or things like that. But I have had coins come back undergraded, in my opinion. On occasion, though, I have had super grades on high mint state coins. After a while, you get to know what will grade and what won’t. Nonetheless, I do recommend sending coins to the both companies if your intent is to keep them in a set registry or as a personal investment to be given to heirs who may not know about numismatics. I hope this has been of help! I feel third party coin grading especially from PCGS and NGC is as corrupt as can be. Talk about a conflict of interest. Both of these companies are allowed to buy grade and sell their own coins. They also set the market prices. Way too much power. How could you expect a fair honest grade on your own coins when you are basically sending them in for grading to your competition on the resale market. They don’t want people to buy your coins. They are trying to sell theirs. They claim that during the grading process they have no idea who’s coins they are grading. Who is in charge of watching over this procedure? Their own people of course. What a joke. The power that they possess in this market is ridiculous. A neutral party who would not benefit one way or another from the grade given to each coin is the only honest and fair way to do this but unfortunately big money companies like these will never allow this to happen. Unfortunately in most cases the person getting the coin graded is more important than the coin itself. My brother has a coin from WWI. He wants to find out how much it’s worth, so he’s looking for an appraisal service. I never realized you can submit coins to different clubs an they can help you find out the value. I’ll be sure to share this info with my brother. I am very new to coin collecting. I took up the PCGS 8 voucher offer (249$) whilst wanting to grade my first 8 GOLD sovereigns. The submission forms looked a nightmare to fill in . So i arranged to go to the submissions stand at the CoineX London. (10 hour round trip) for help filling in the forms correctly. what counts as mint errors / variations etc. . When I got their . I explained to the girl doing the submissions. That i had been in contact PCGS US by email beforehand . But she did not understand as this was PCGS Europe (Paris). I Know now they are separate entities. A member helped a bit and and said the 8 vouchers are worthless unless you can get them to PCGS US by fedex. I tried filling the fedex quote today . but what appeared to to me was possible problem – ‘CUSTOMS’. and declaration . Obviously the value is what i paid for the coins. but these are should declared somehow as ‘ my coins’ and on return surely, if I put the total insurance value say £5000. would this not be problem getting MY COINS back without HM CUSTOMS wanting a tax payment Obviously i want to insure them at the ‘correct’ loss value. Yet the customs value should be ‘NIL ‘ as they are mine. but the fedex forms don’t allow for this . how does everyone else go on sending coins direct to US PCGS from UK. AS for the forms I have no idea weather I have filled them in correctly. please help. I was also at COINEX this weekend and spoke to the representatives at PCGS about the opening of their new office in London. I think the problem you may face is indeed the customs charges & forms which can be rather complicated in terms of cost vs. declared value, as well as the dispatch charges to the US. I know that you would like to take advantage of the offer regarding the cost but – to make life easier, if you are in the UK and want your sovereigns certified – use their office in London and perhaps ask if they can offer you a similar introductory cost here. If these were my coins, I’d take advantage of the PCGS service closer to home – this is the very reason they opened in the UK, even submitting coins to Paris was problematic for some collectors & dealers. However, if you find yourself visiting the US, you might want to take advantage of their offer but again – be aware that even bringing your coins home & through customs without proof that you took them out might incur charges or problems – dealers can tell you the hoops they have to jump through when they attend shows. Wow! I am totally shocked. I was in the process of researching where and how to submit some pennies for grading. I am new to coin collecting and only collect Lincoln cents, at present time. I dedicate countless hours to this task in order to learn about penny coin collecting in depth. I am horrified at some of the information I have just read. I am going to do a lot more research before submitting any of my special finds. My intention was to share an inexpensive concise, step-by-step, hands-on hobby, using all of my research findings with children in their preteen and teen years. I wanted to give children an inexpensive hobby that would help them acquire numerous study skills, eliminate boredom during school vacation/summer breaks and in the process possibly give them something that might provide them with hope, since so many of them are of low income means. Thank you for sharing. I can’t imagine what it must be like for anyone who spent hundreds or thousands on gold or silver coins, as an investment and find themselves in a predicament when attempting to have these valuable coins graded. I agree that sending special coins to these two grading services, is like placing chickens In the care of wolves. I would suggest that a large group of collectors should start a petition that offers, before and after, photografic proof, of damage caused to their submissions, especially mint state coins, by these services and request that a National News Center, like GMA, investigate these companies. It would at minimum raise eyebrows and possibly force new guidelines on the requirements for coin grading companies to operate.